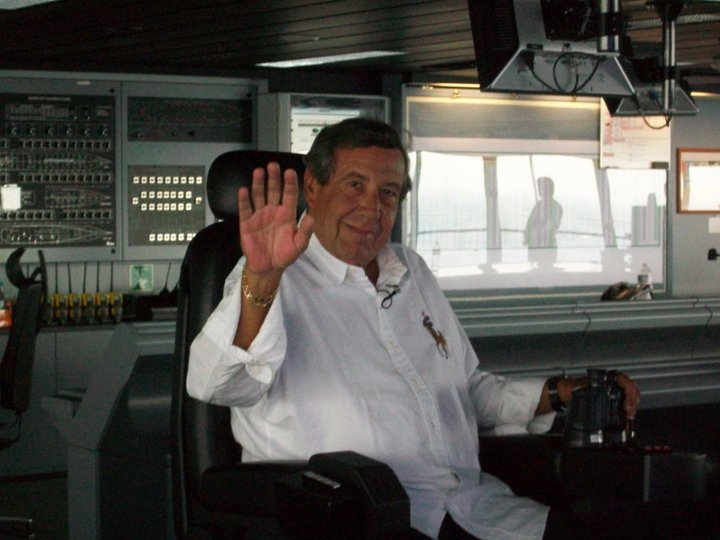 Because for the last twenty years, Mario has lived and run his investment advisory and management company year-round from aboard 5-star cruise ships, most of them the luxury liners of Royal Caribbean Lines. And he reckons he's done nearly 1000 cruises in those 20 years, chalked-up around 6000 nights at sea, and spent in the vicinity of US$1,400,000 doing so. And all after being bitten by the cruise bug at age 45 when he "wanted to discover the world," and setting up his own company to do so. Booking interior staterooms because he says he only uses them to sleep in, shower and dress, Mario eats only two meals a day for his weight's sake, and does a lot of walking and scuba diving when in port to keep fit… and loves socialising at night either dancing or while enjoying an after-dinner cigar and a cognac. Mario spends 50 weeks a year at sea, with the other two made up of travel between ports to change ships – or to see his doctor or the bank. And bizarrely he maintains a condominium in home-town Miami – complete with a maid he drops his laundry off to whenever a ship he is on visits town, and a car he likes to keep handy in the event he might need it on one of those ship visits.